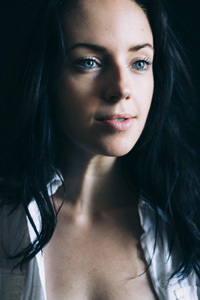 Madeleine Johnson is an actress, filmmaker and writer from Portland, Oregon. She attributes her appreciation for many of the best things in life—black coffee, dinner parties, roadtrips, rock music, laughing til you cry, trashy tv, pop art—to her late, great mother. Madeleine’s blog, Dear Mama, is a collection of letters written to her mother since her passing early last year. Madeleine is currently living in Los Angeles. This selection of poems is the first in a three-part series featuring Madeleine’s work. The moment I found out I lost you.